Great article! 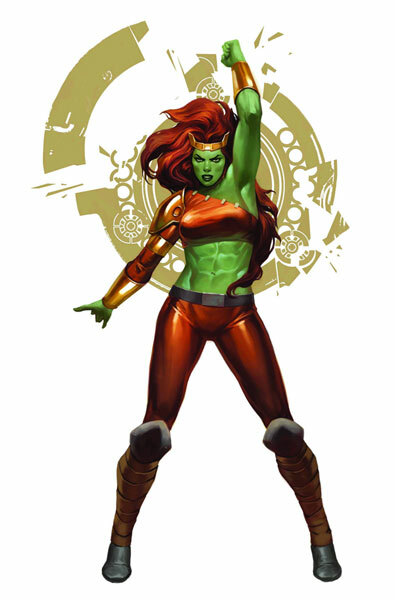 I loved the She-Hulks book, but I was also troubled by the sudden de-aging of Lyra. I think I prefer her a bit older. Still it was a fun read and I am sad to see it end. I have to agree with Daniel C on this one. This mini series was a very exciting ride (albeit a short one). I would love to see more adventures with Jen & Lyra in the future. 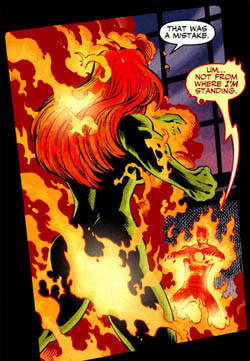 For the record Lyra will be appearing in Jeff Parker's Hulk title in the future. So all is not lost. 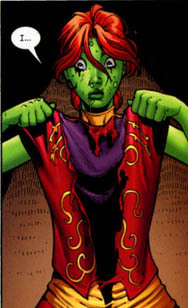 To me it wasn't that much of a problem that Lyra is older then she appears to be in her Hulk form. 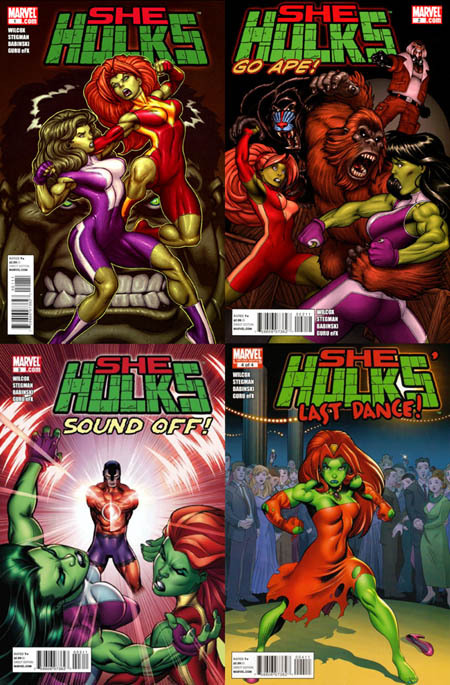 As we all know, a person's personality and looks changes greatly when one become a Hulk anyway. With this mini-series, I found it very similar to the stuff that Marvel had done with May'Day' Parker (Spider-man's daughter from MC2). 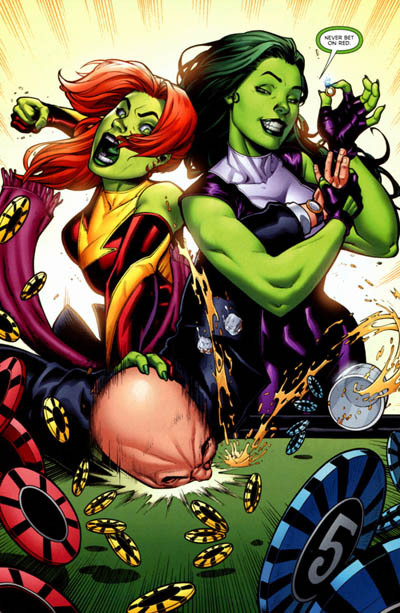 In fact they are doing more of the same stories with the new Spider-girl (formerly El Arana' (I hope I got that right)). I just wish that it was an ongoing series as initially planned. 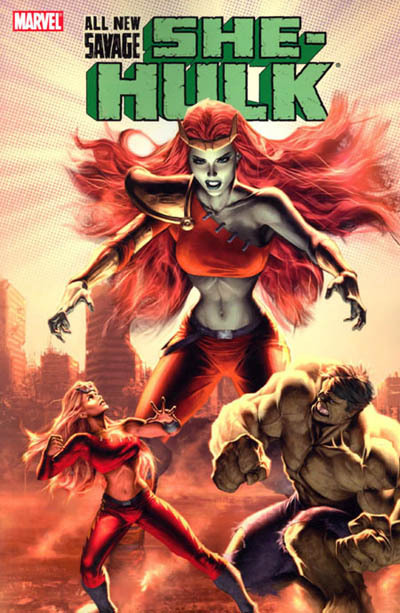 I love the Hulk family, but Lyra is the one character who doesn't work for me at all. The whole deadly teen girl thing, and all the comedy relief that her blunt threats always leads to as she tries to fit into this crazy high school scene, is done to death over at DC. She's got too much going against her. She is a test tube baby from an alternate future (a ridiculous one, by the way) who travelled back in time for some reason... None of that is relatable. Also, her visual is terrible. 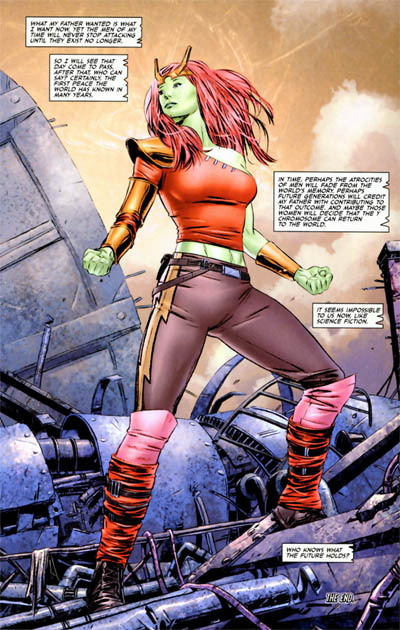 The green with this weird shade of red hair, and she's also recycling one of of Marvel's worst costumes from one of their lamer characters. She just seems randomly developed and thrown into the mix, but there's no real place for her. To be fair, that probably has to do with the S.P.I.N. technology. The reason why she was shown to be so buff in human form is because of her mother's super genetics. 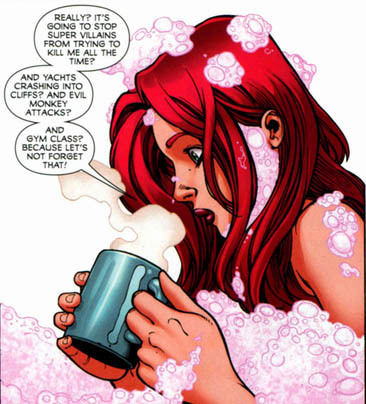 Actually, when she first appeared she was 19 year olds and Bruce called her an adult. So she is probably 20 years old in the mini.